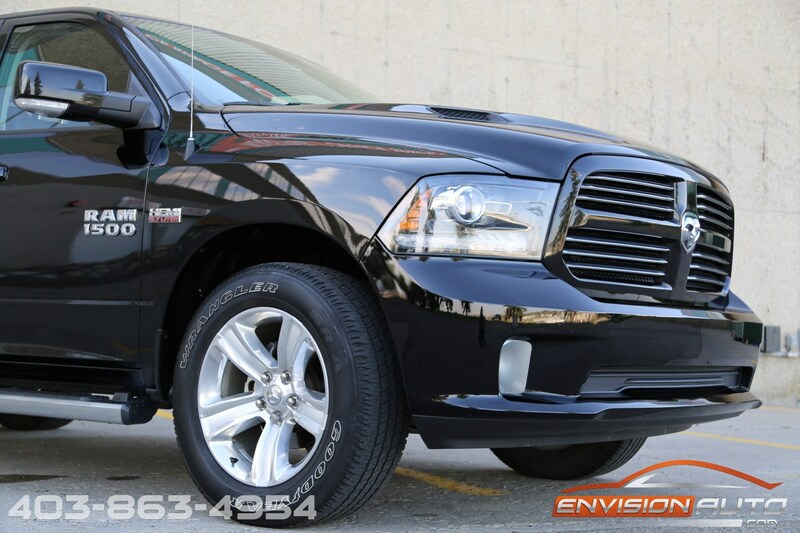 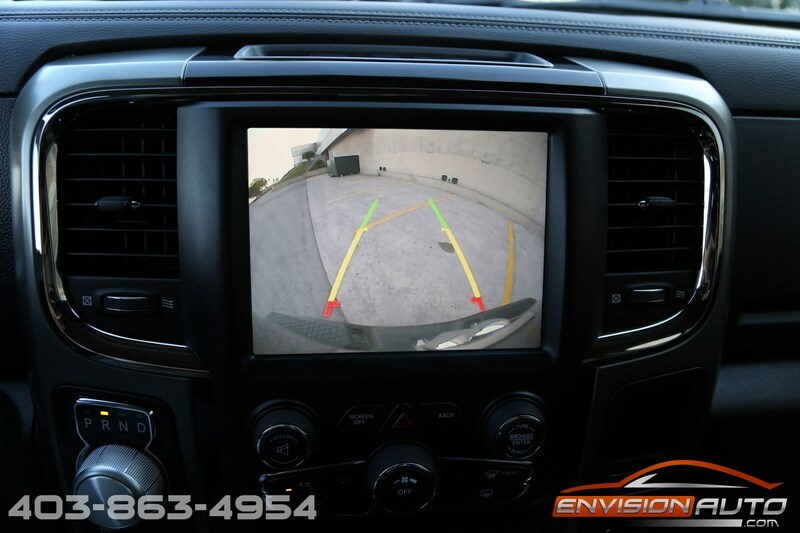 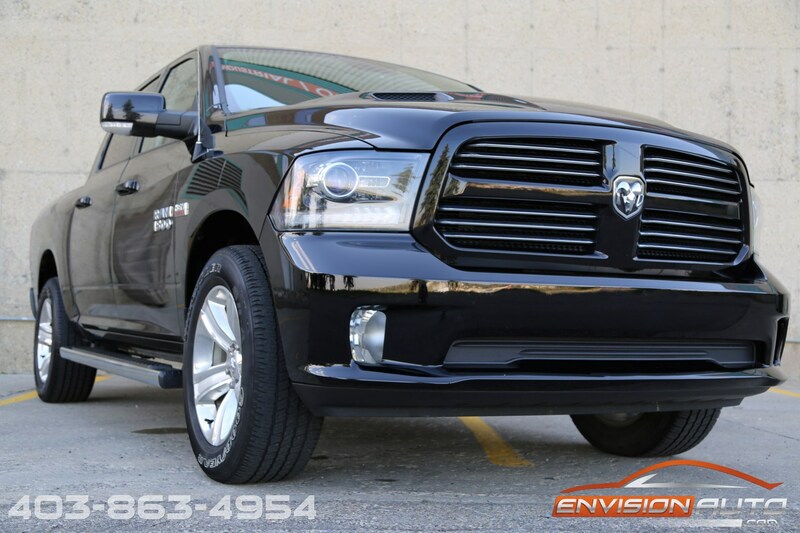 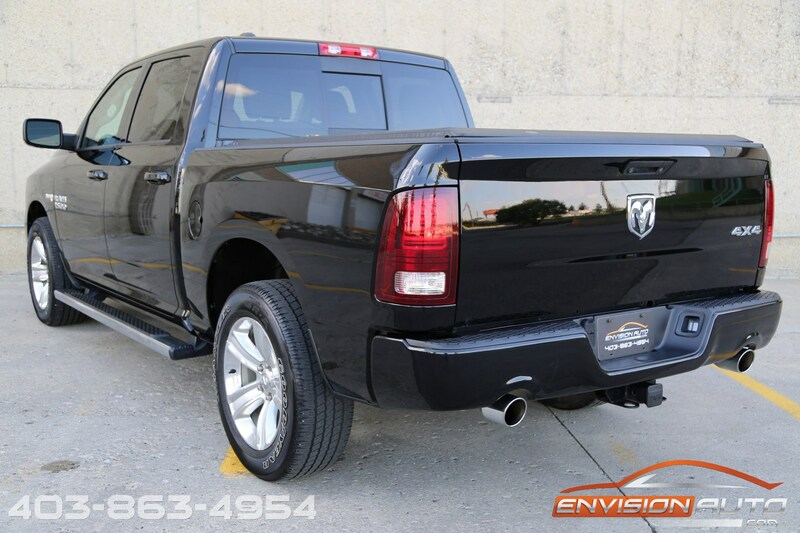 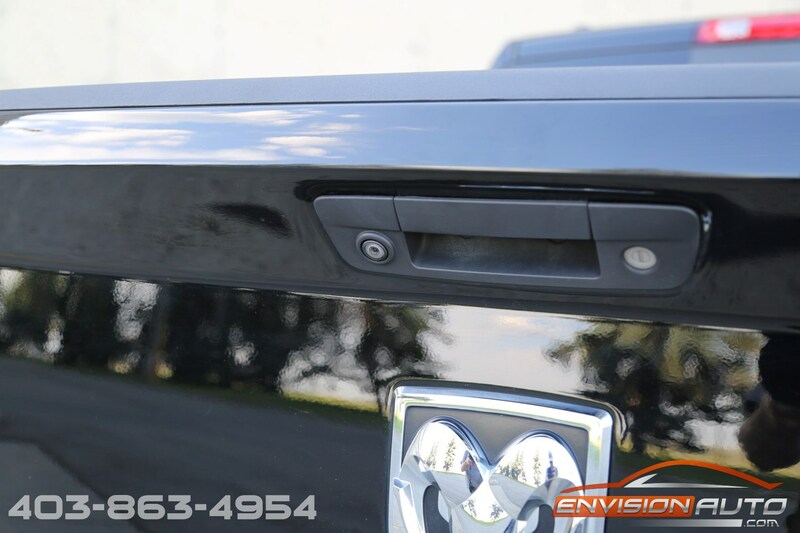 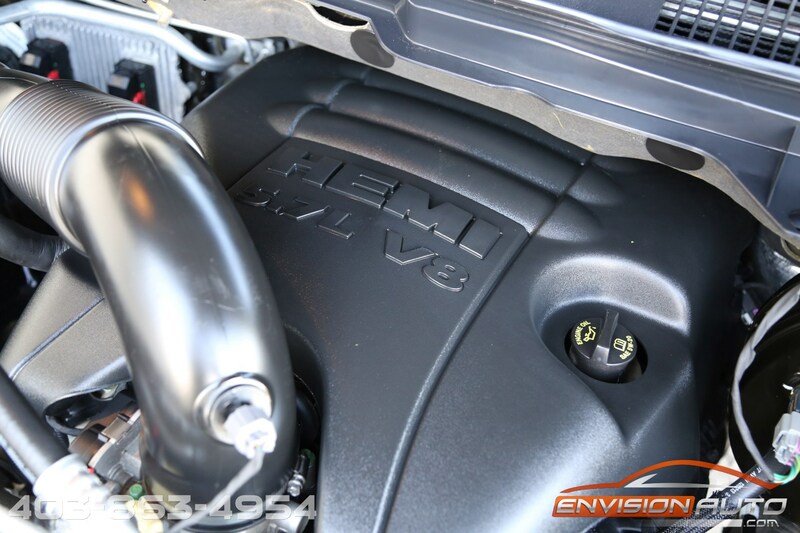 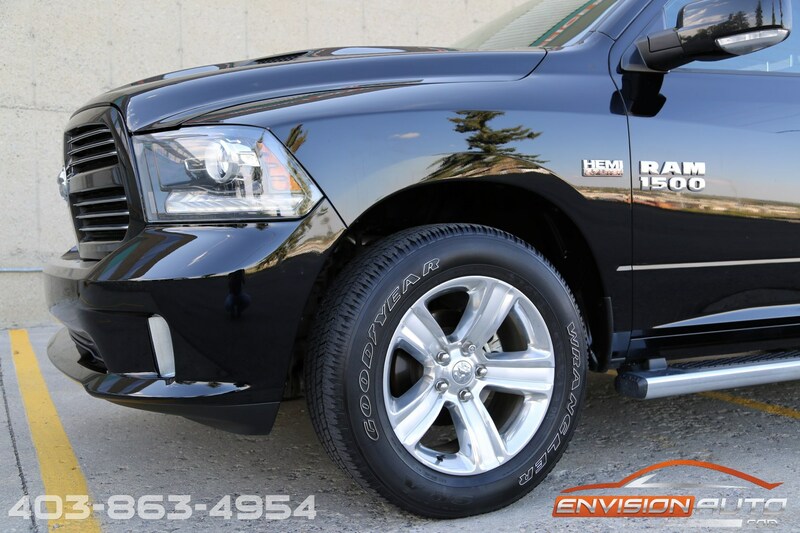 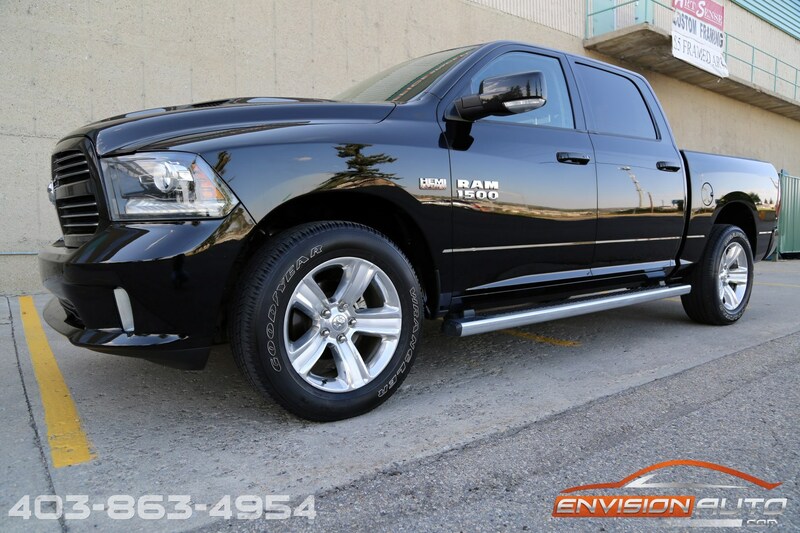 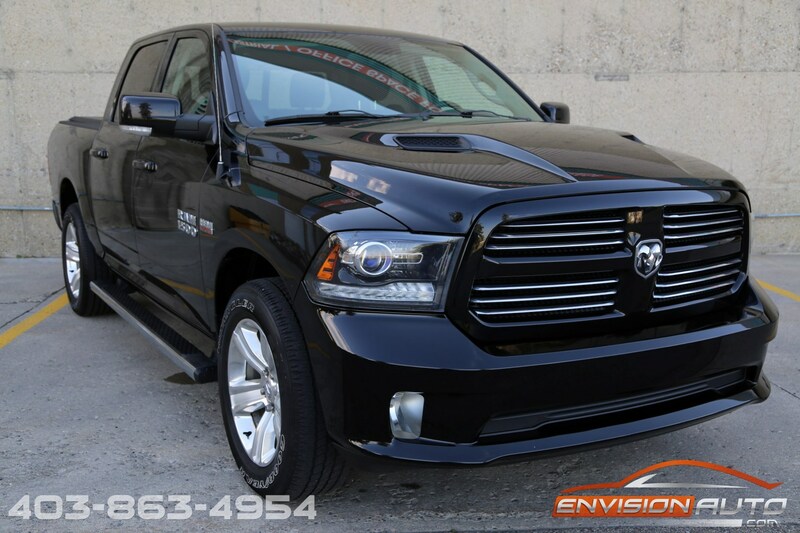 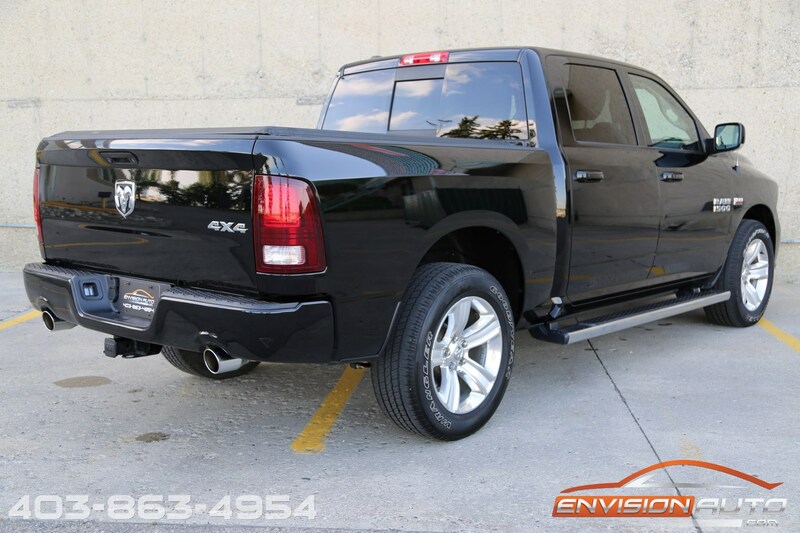 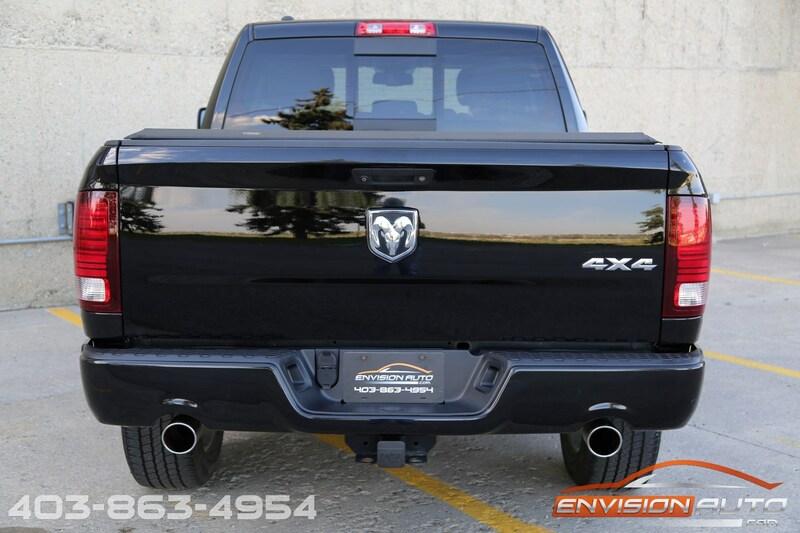 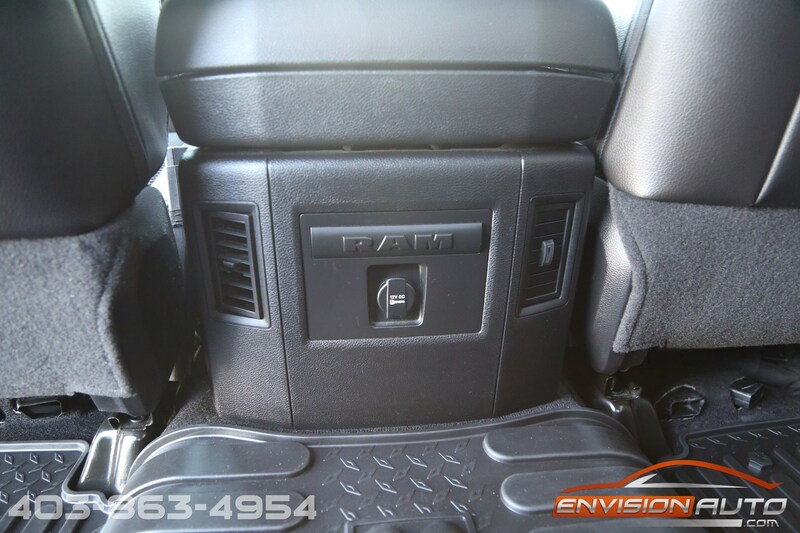 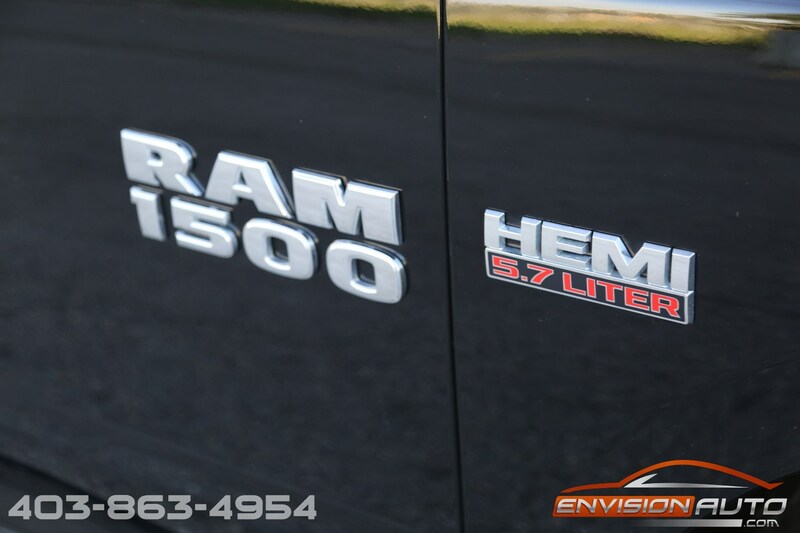 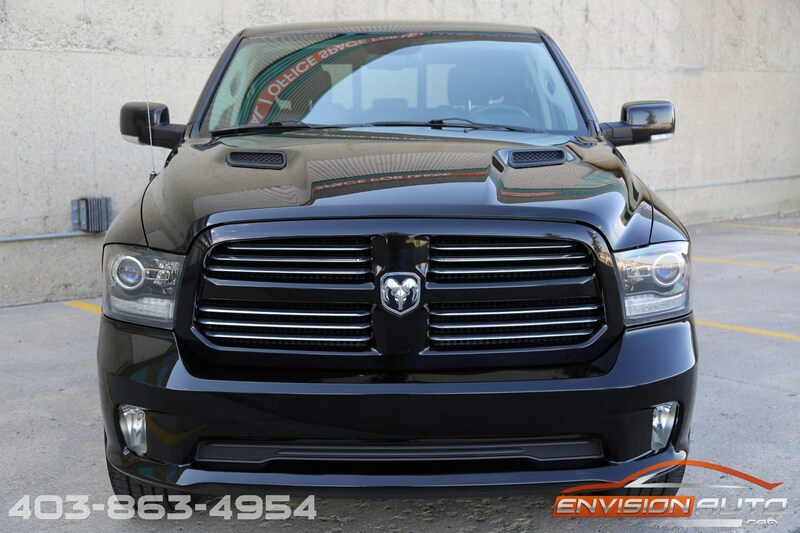 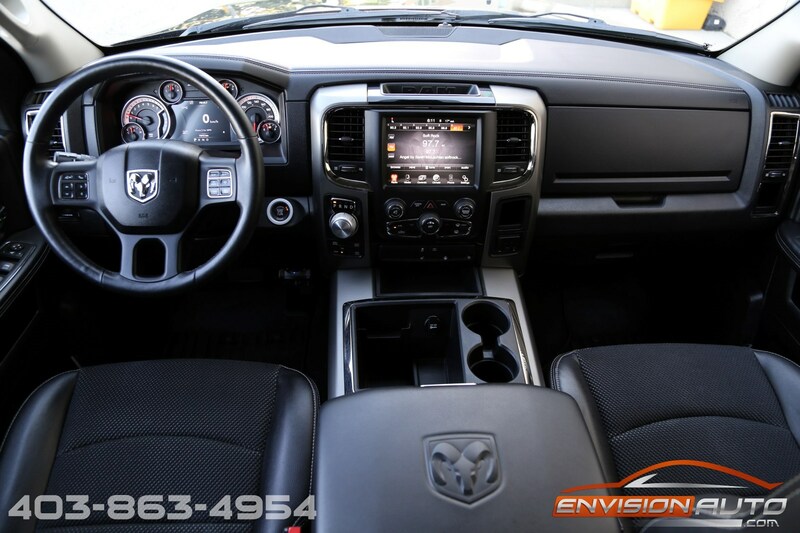 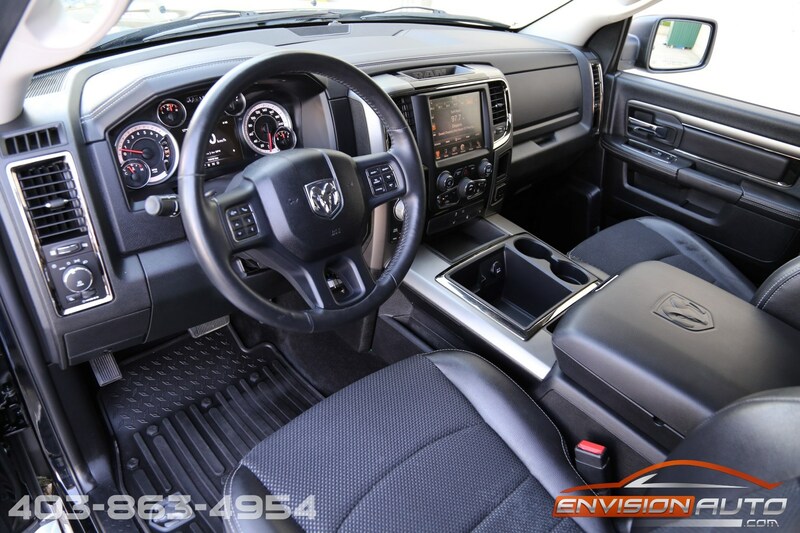 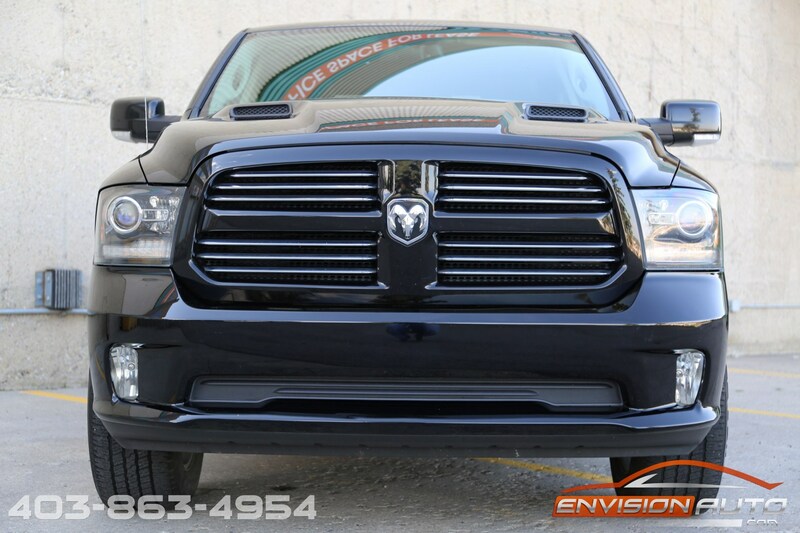 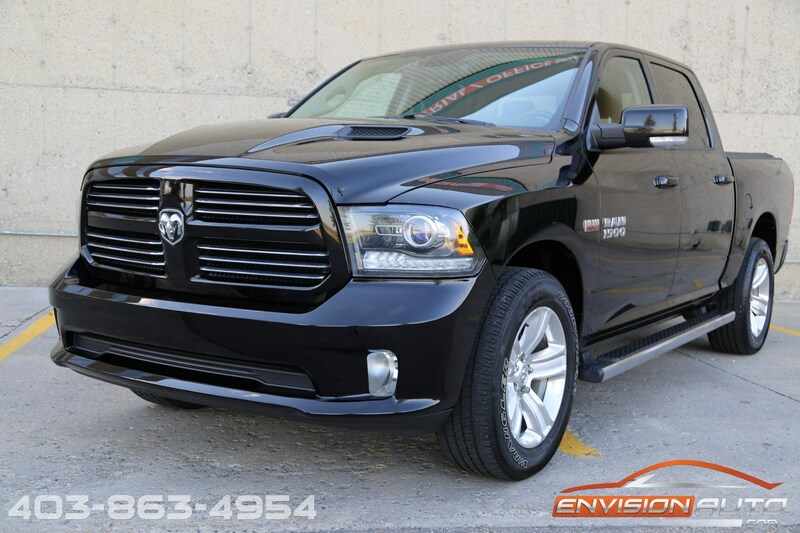 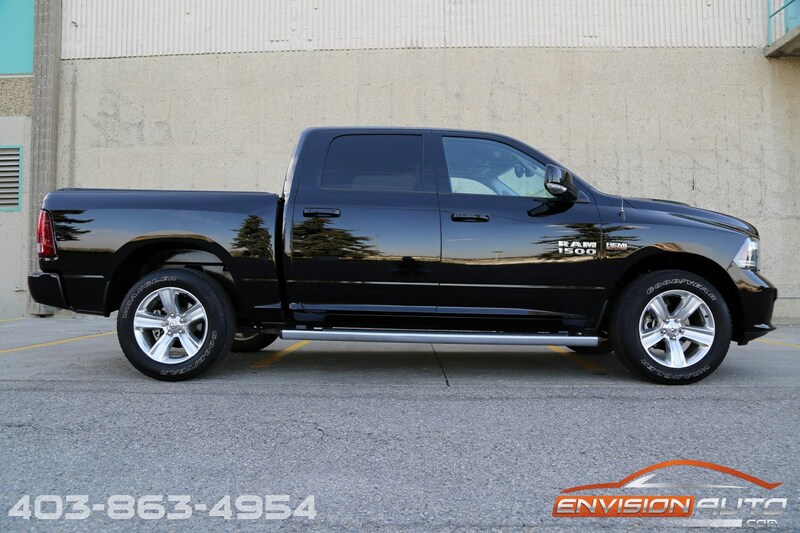 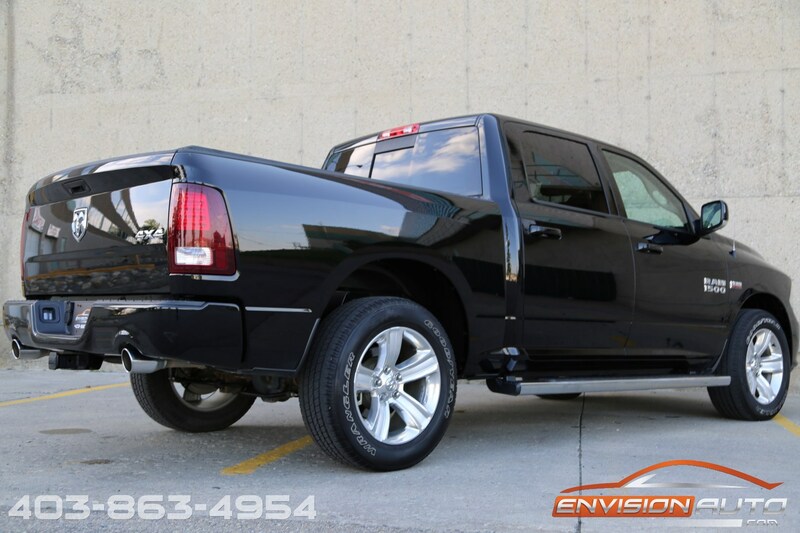 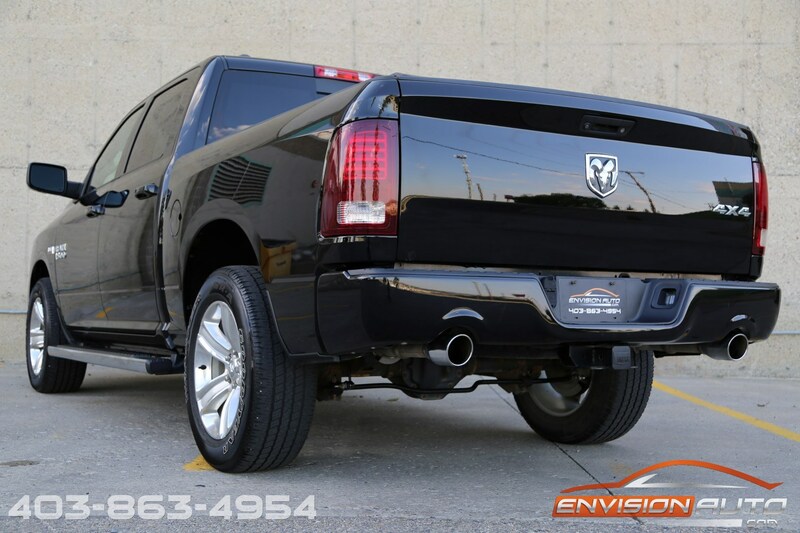 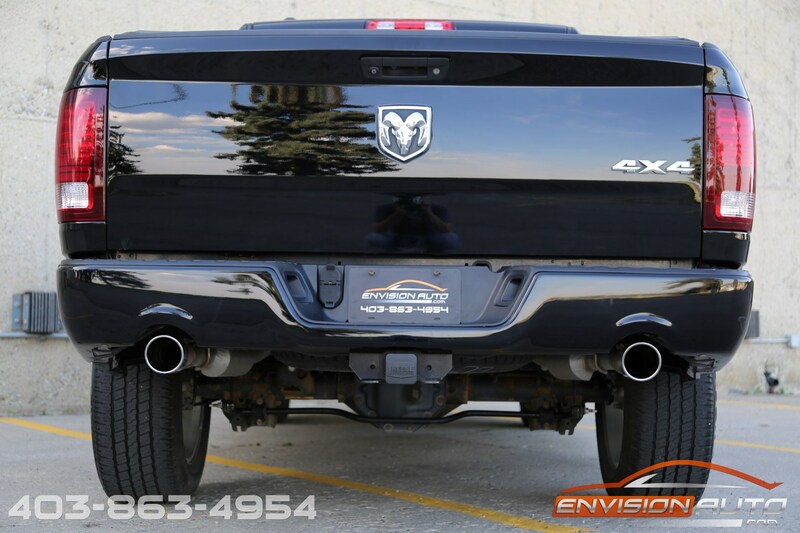 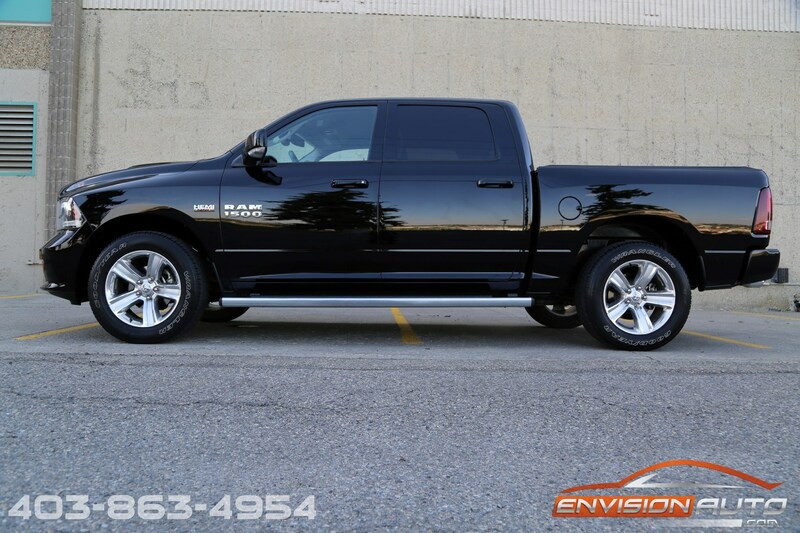 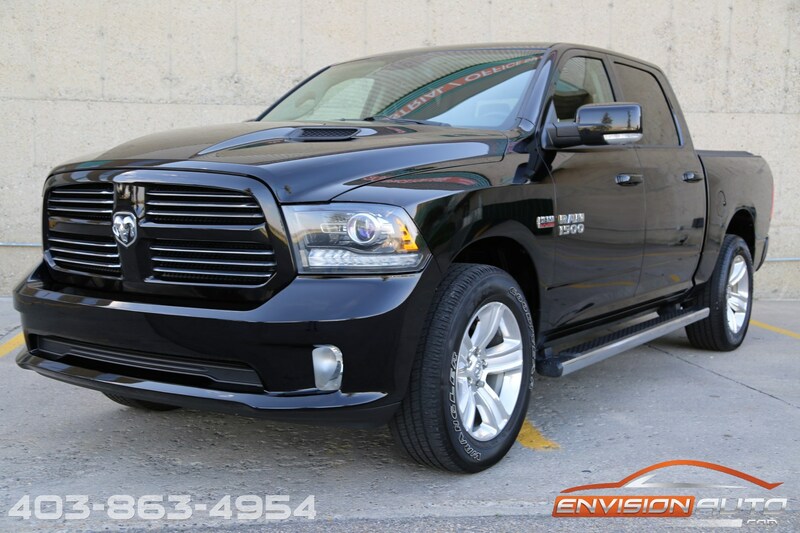 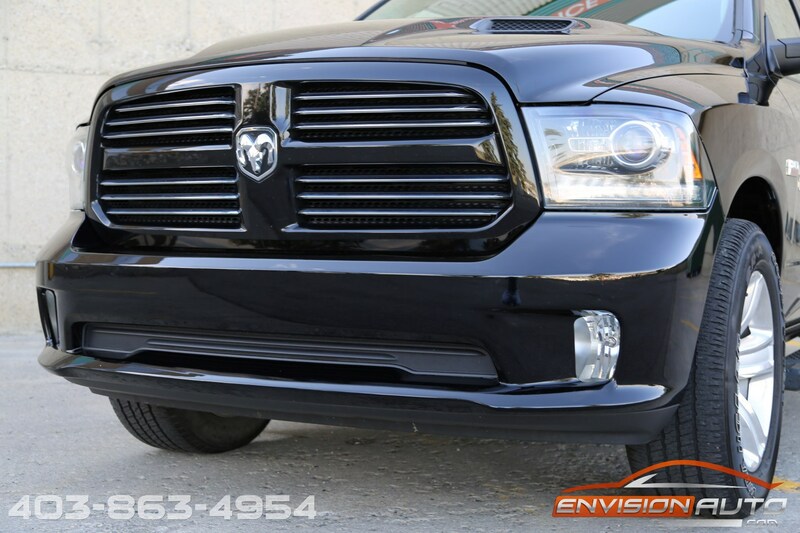 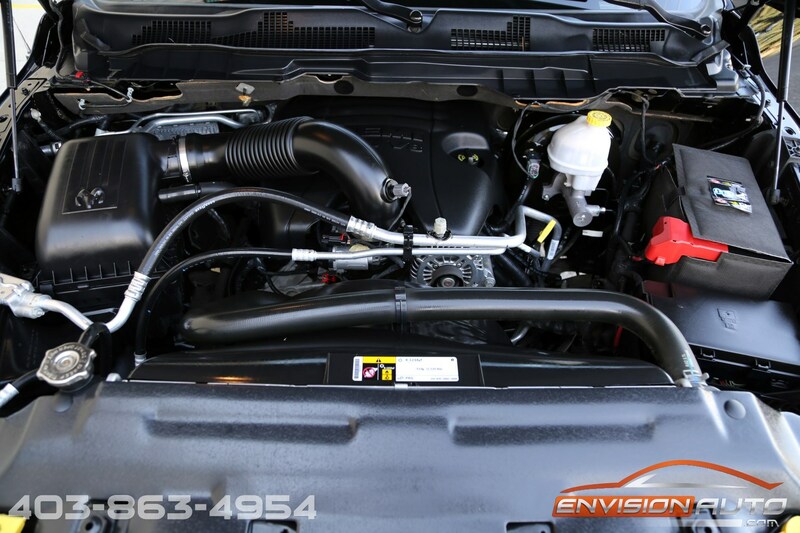 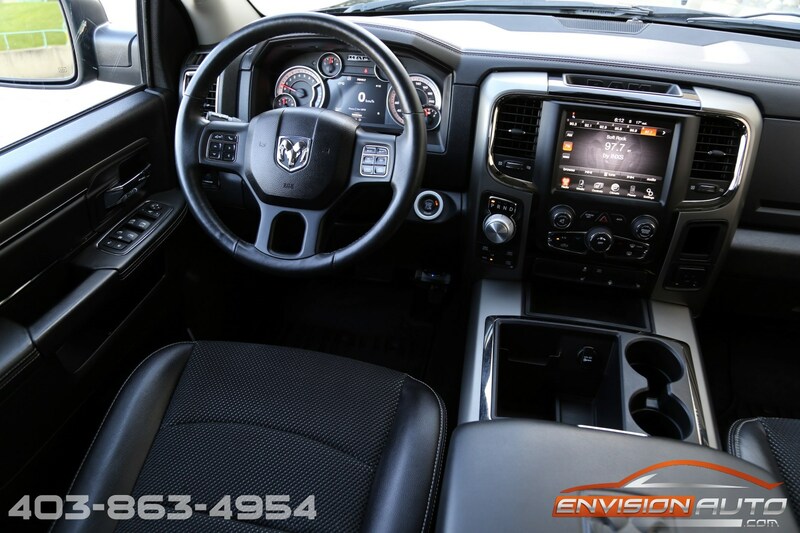 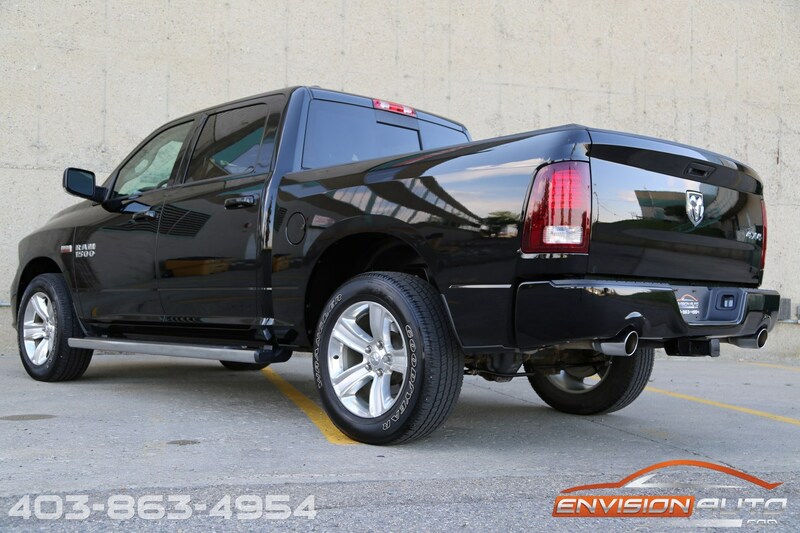 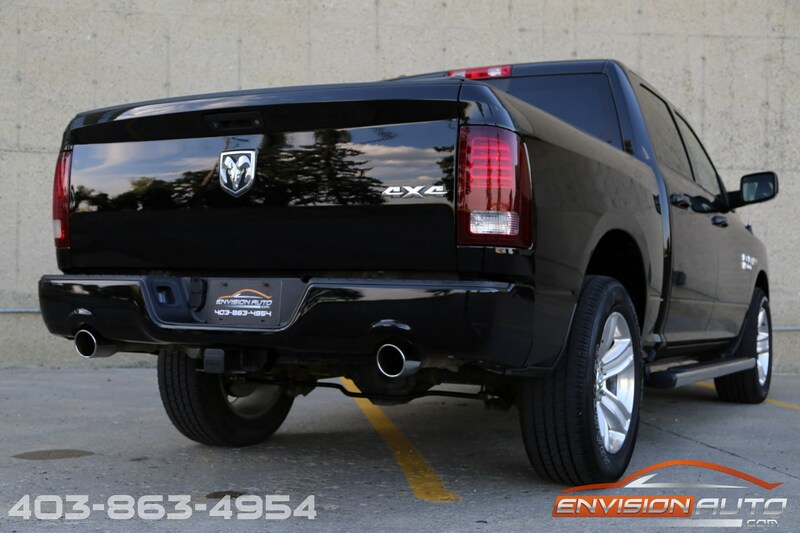 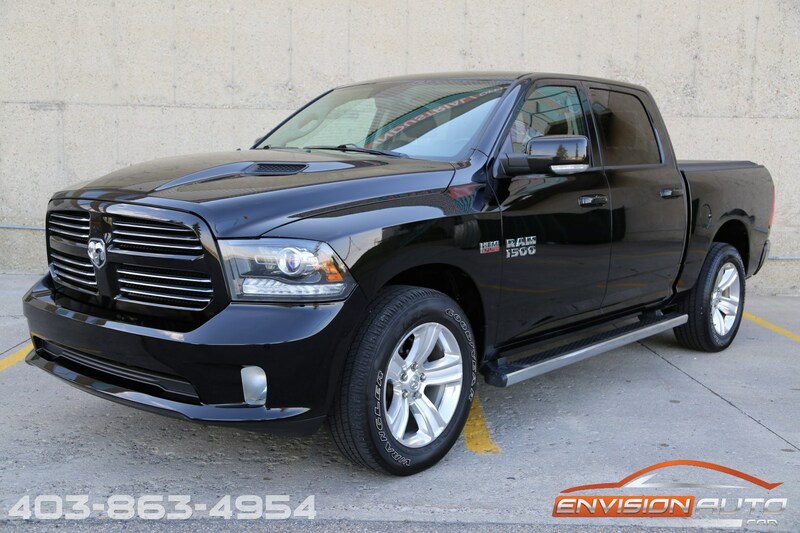 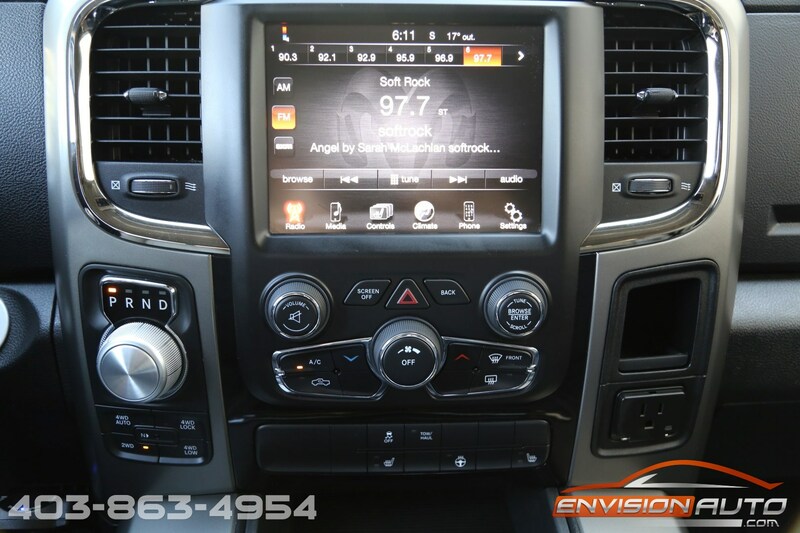 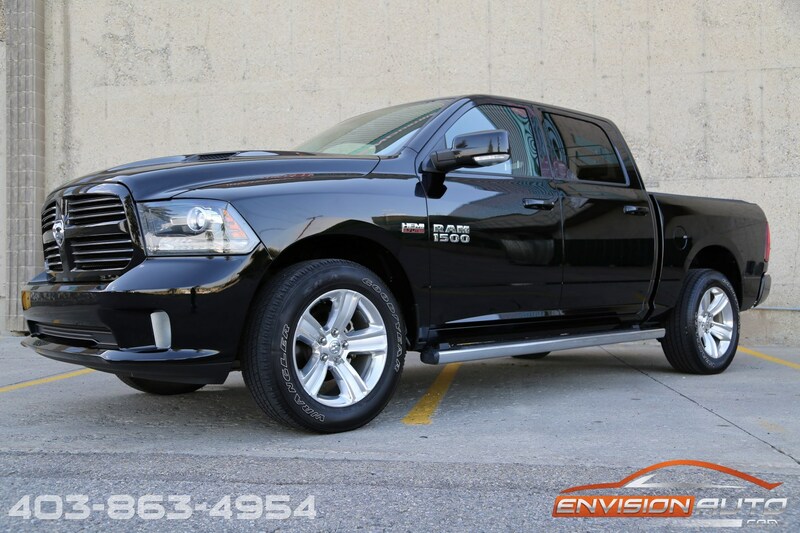 2014 RAM 1500 SPORT CREW HEMI 4X4 \ ONE LOCAL OWNER \ ONLY 74,600 KMS! 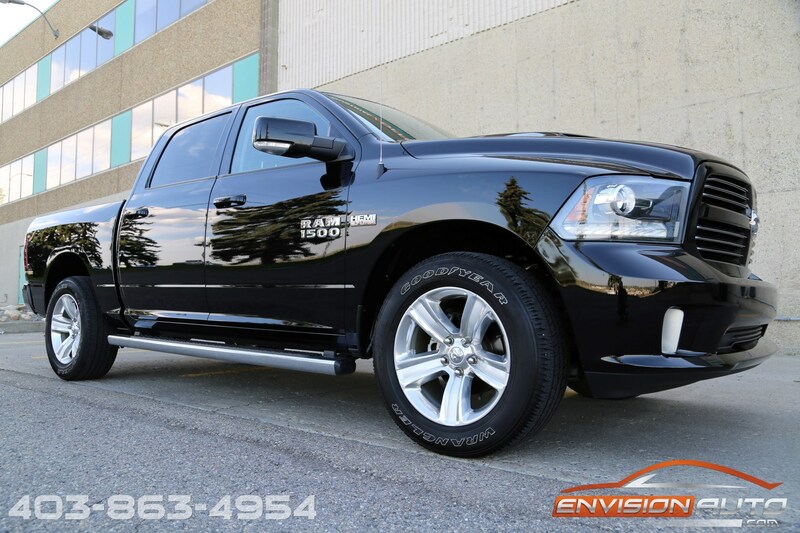 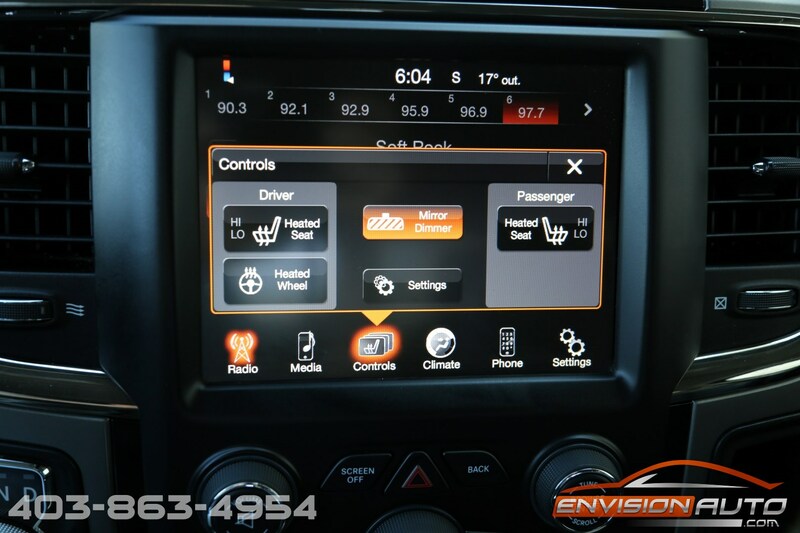 More Details : LOADED CREW CAB 4X4 RAM SPORT 1500 5.7L HEMI \ HEATED SEATS \ HEATED STEERING WHEEL \ REVERSE CAMERA \ ONLY 74,600 KILOMETERS \ LOCAL ALBERTA TRUCK SINCE NEW \ SPOTLESS CARPROOF HISTORY REPORT \ SPRAY IN BED LINER \ SOFT BOX COVER \ ORIGINAL MSRP $54,500! 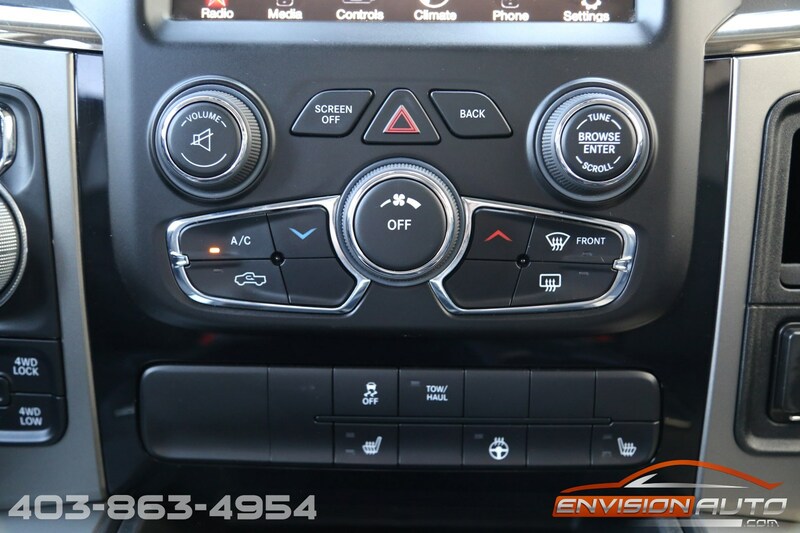 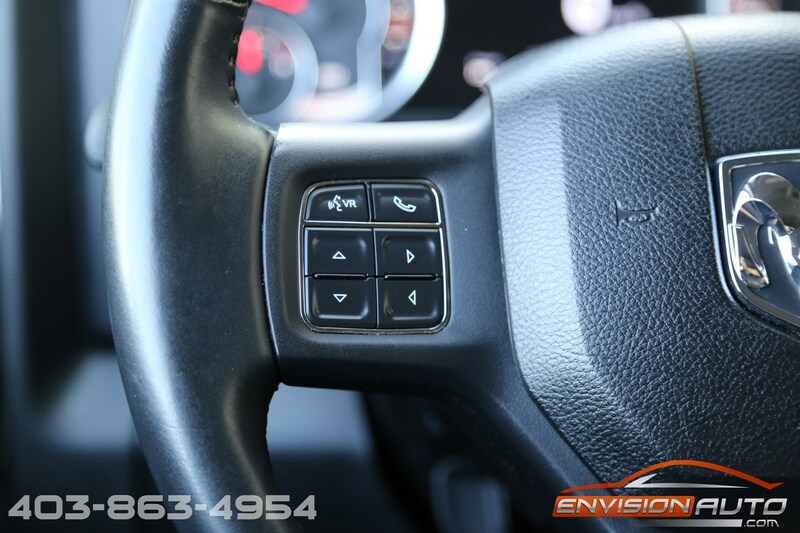 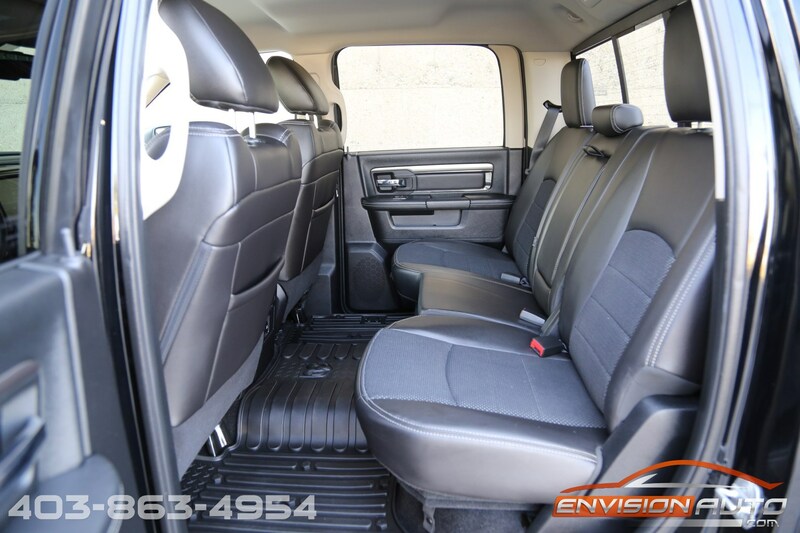 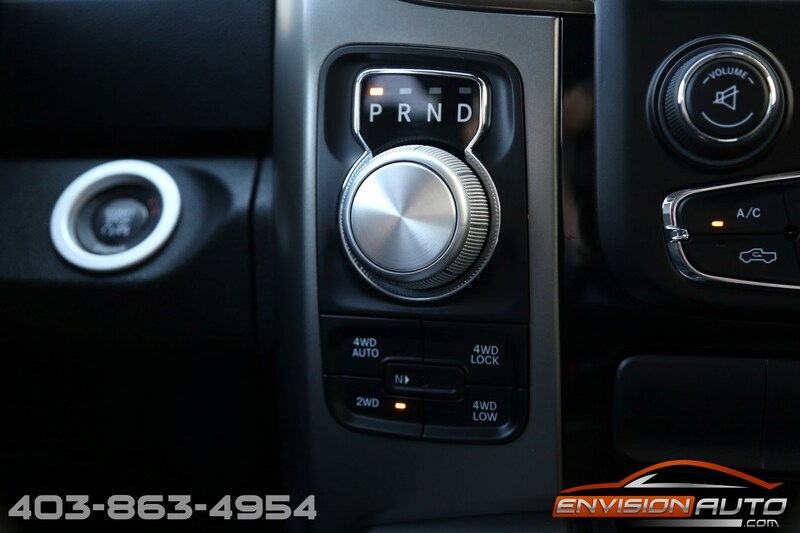 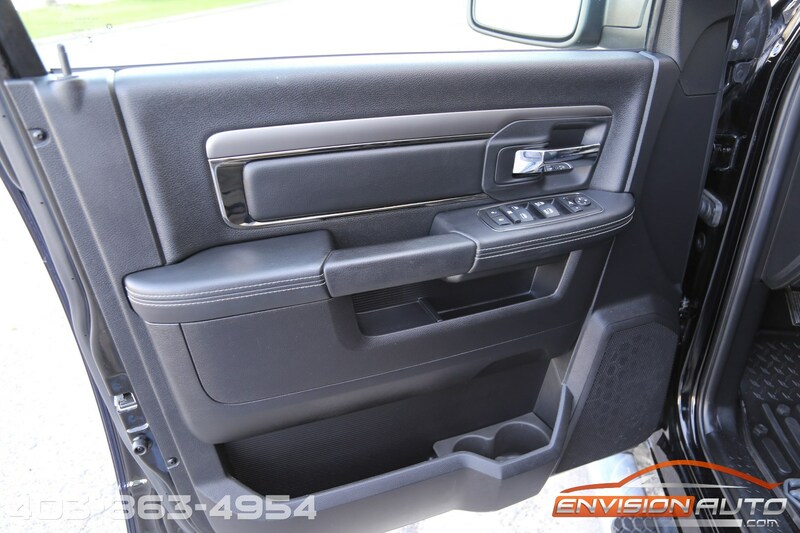 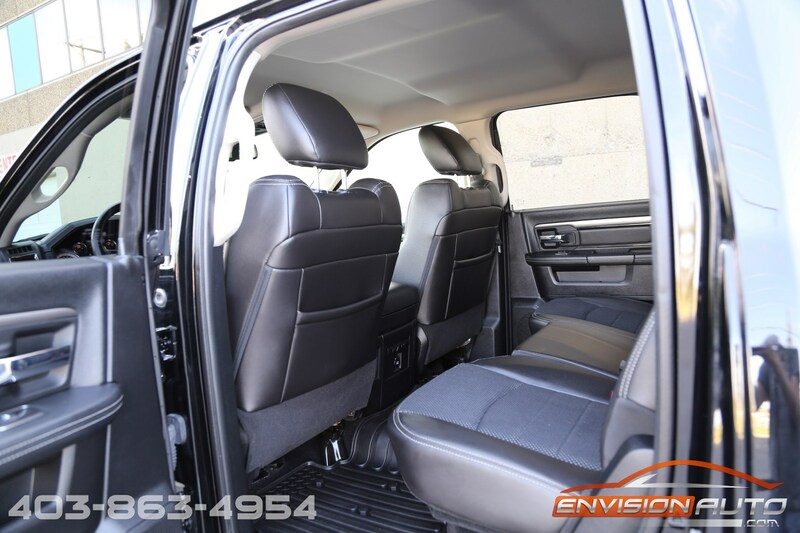 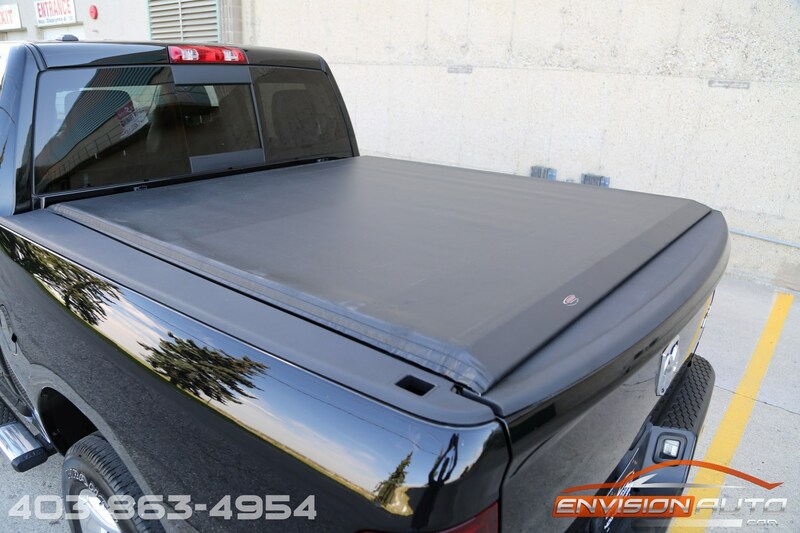 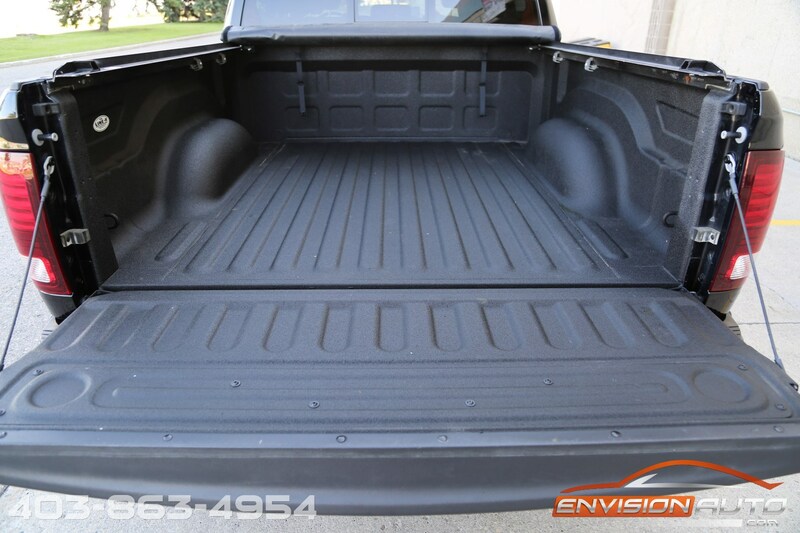 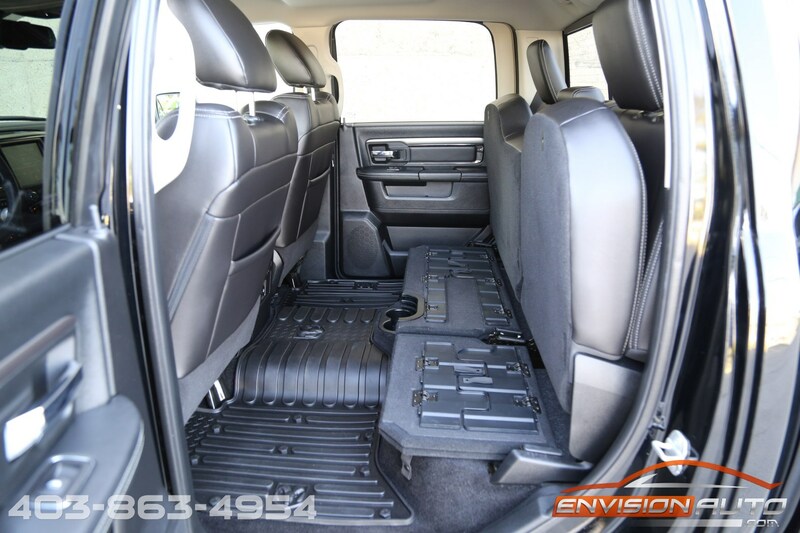 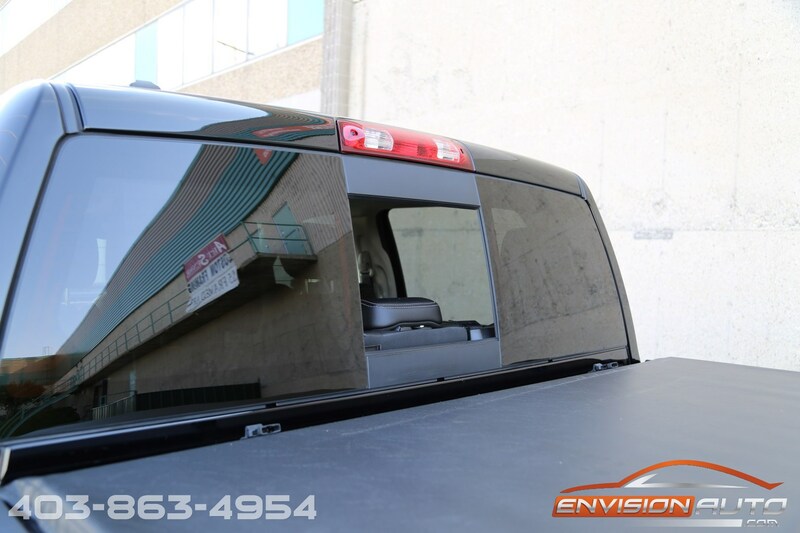 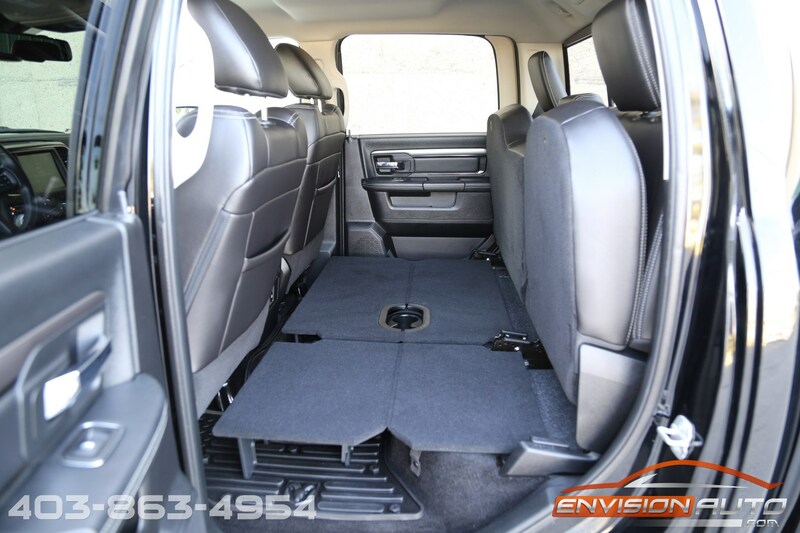 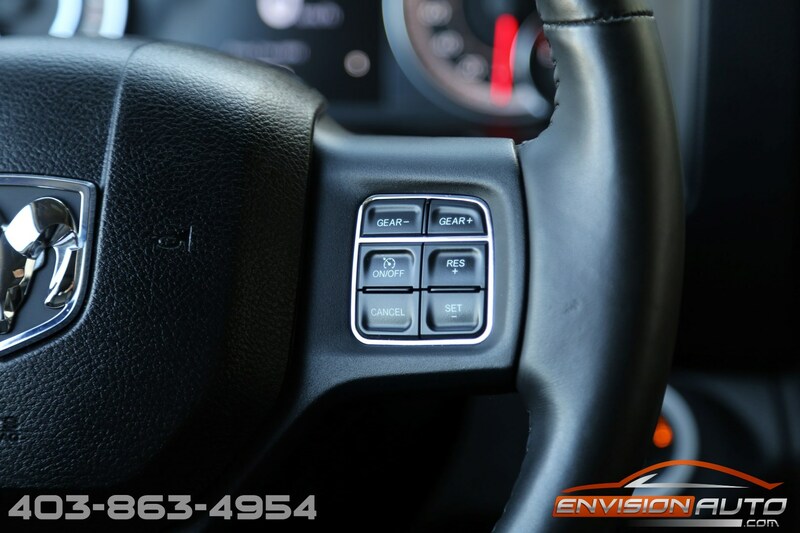 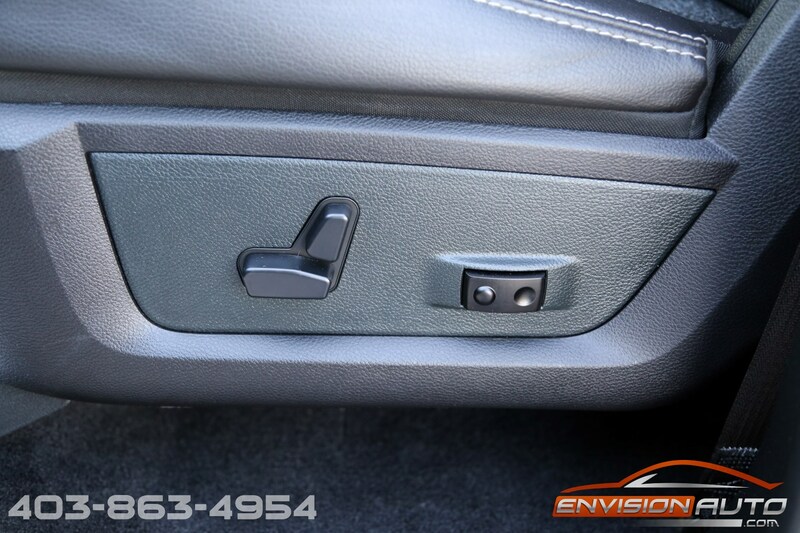 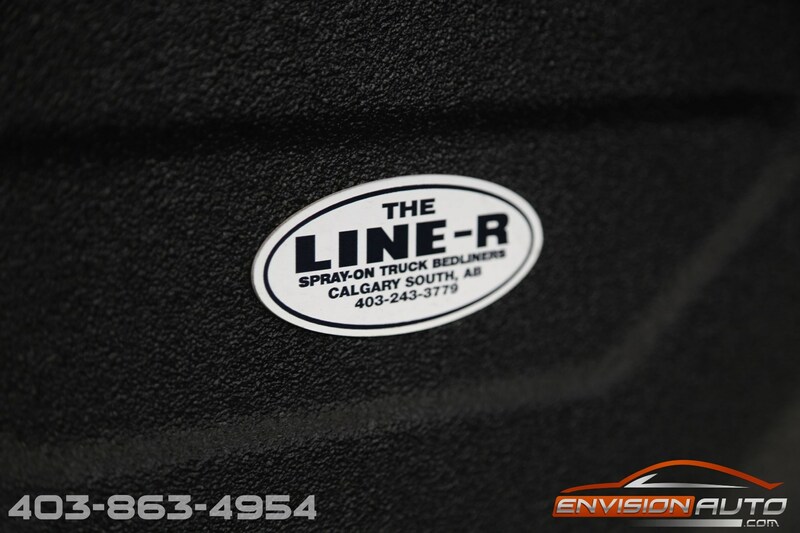 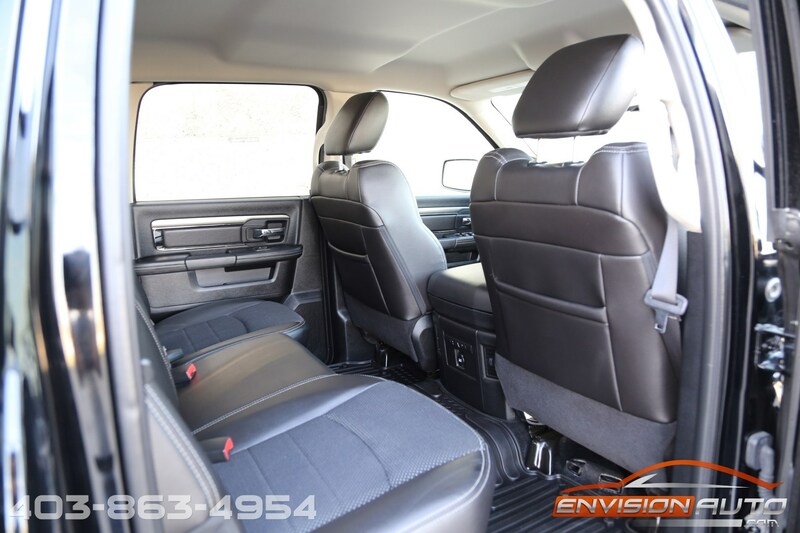 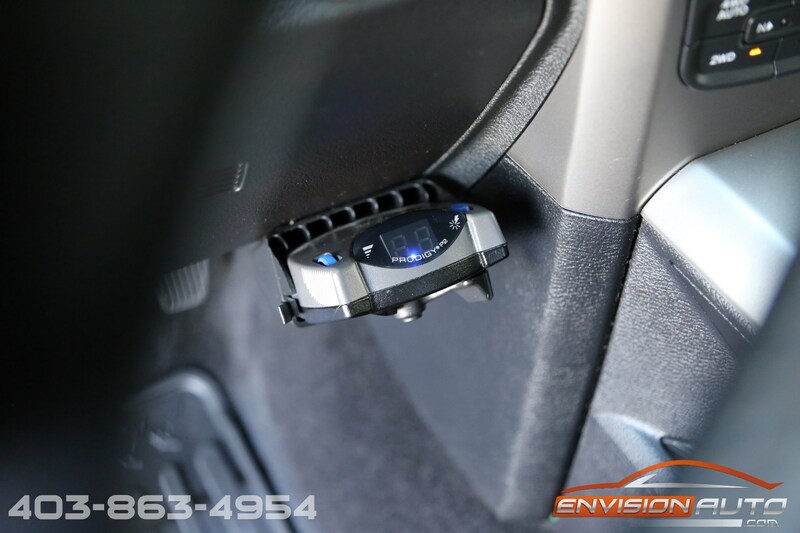 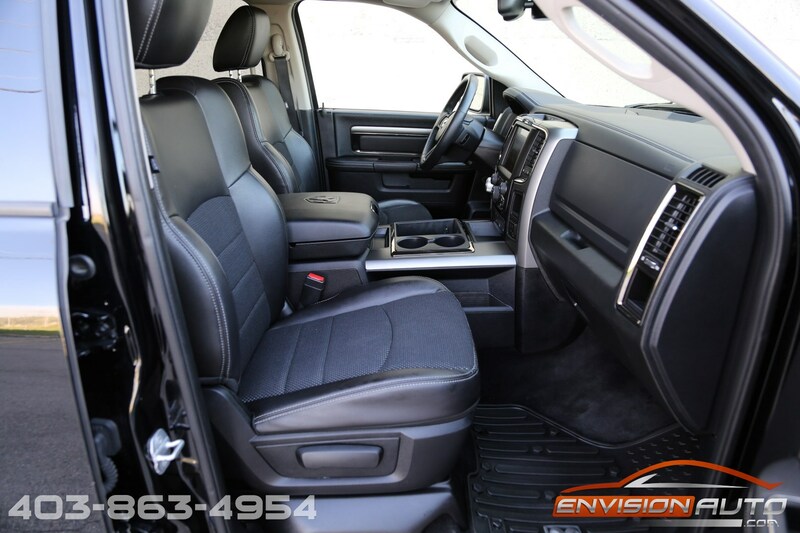 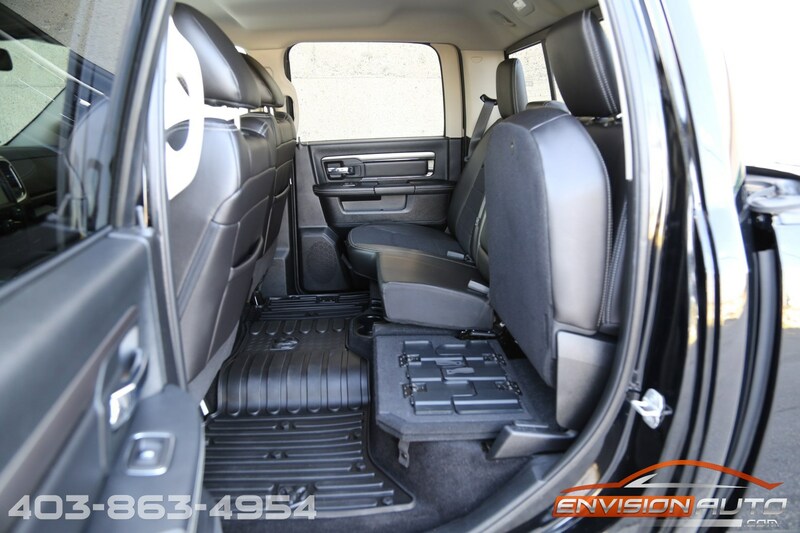 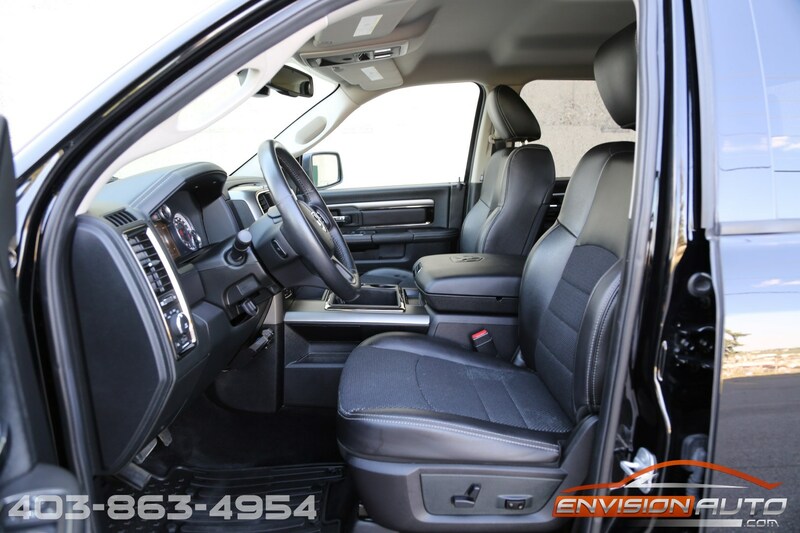 Absolutely stunning in Black Clear Coat exterior paint over black leather with cloth inserts this truck is a credit to the previous owners care and a testament to the meticulous condition! 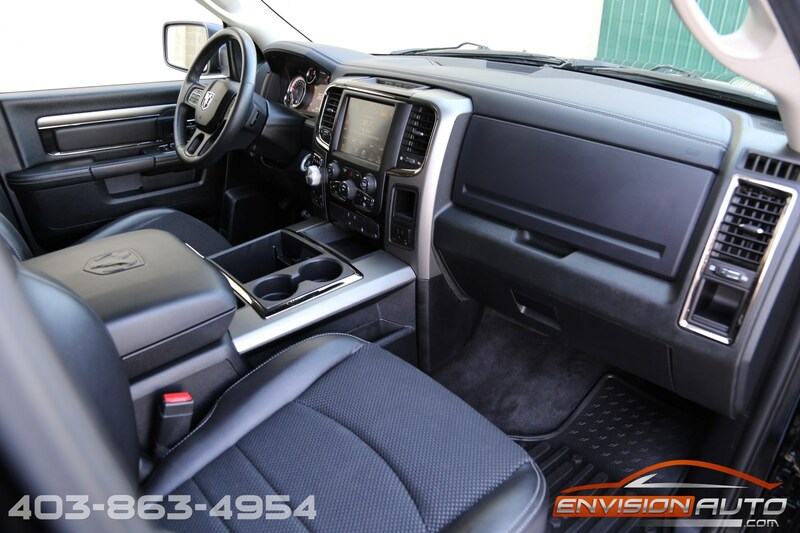 Local single owner Alberta truck since new – Only 74,600 Kilometers – 145 Litre Fuel Tank – 3.92 Rear Axle Ratio – Fold Away Power Mirrors – Trailer Brake Control – looking for a truck ready for towing….this is it! 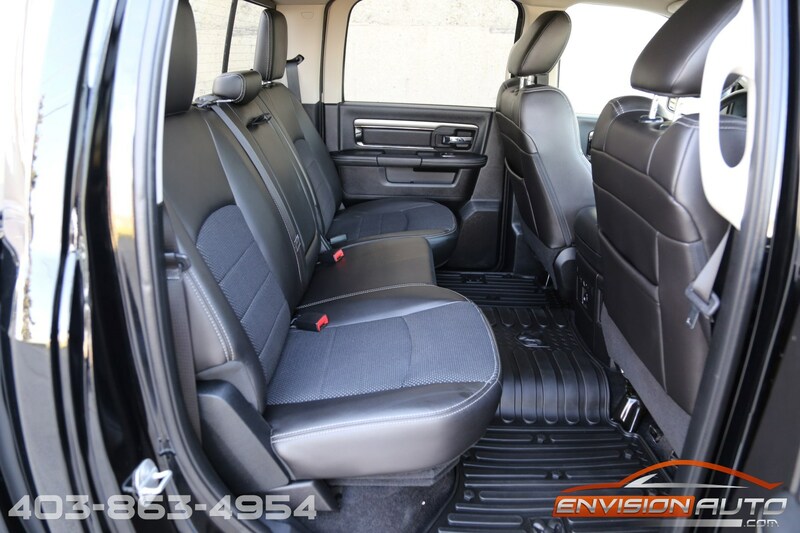 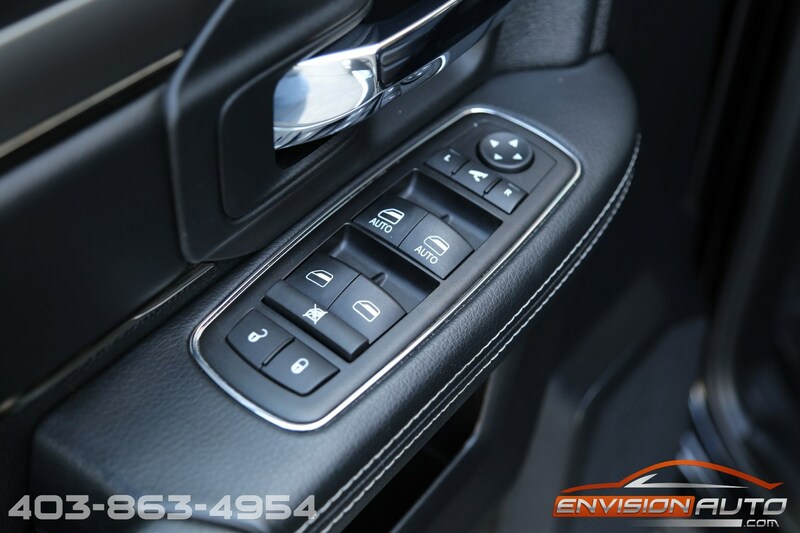 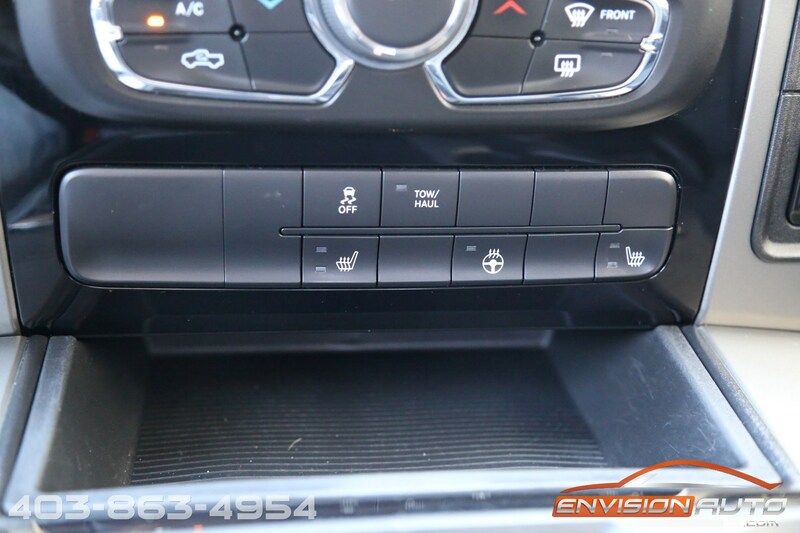 All the desirable factory options and exceptionally well cared for inside and out. 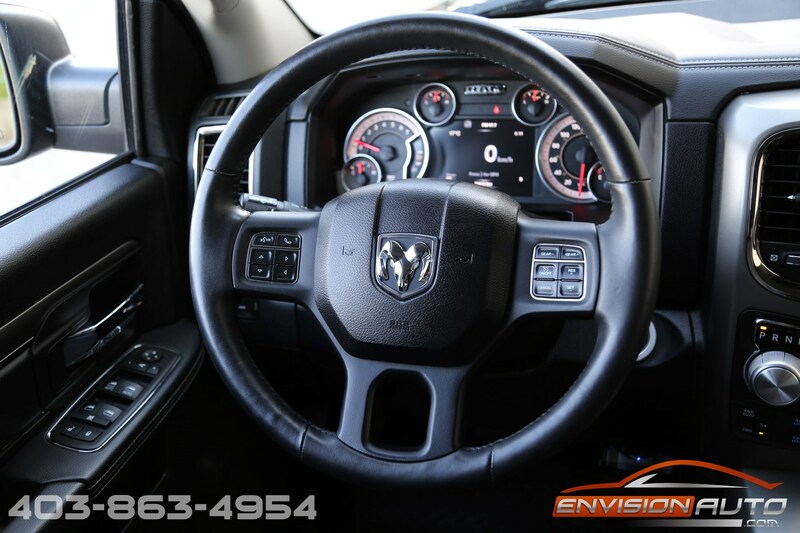 Complete 200 point mechanical fitness assessment just completed with a clean bill of health.